With the help of this artery model doctors can explain changes in the blood vessels due to arteriosclerosis. A horizontally dissected artery fork is depicted with arteriosclerotic changes in four different stages, from slightly sedimented to a completely clogged blood vessel. 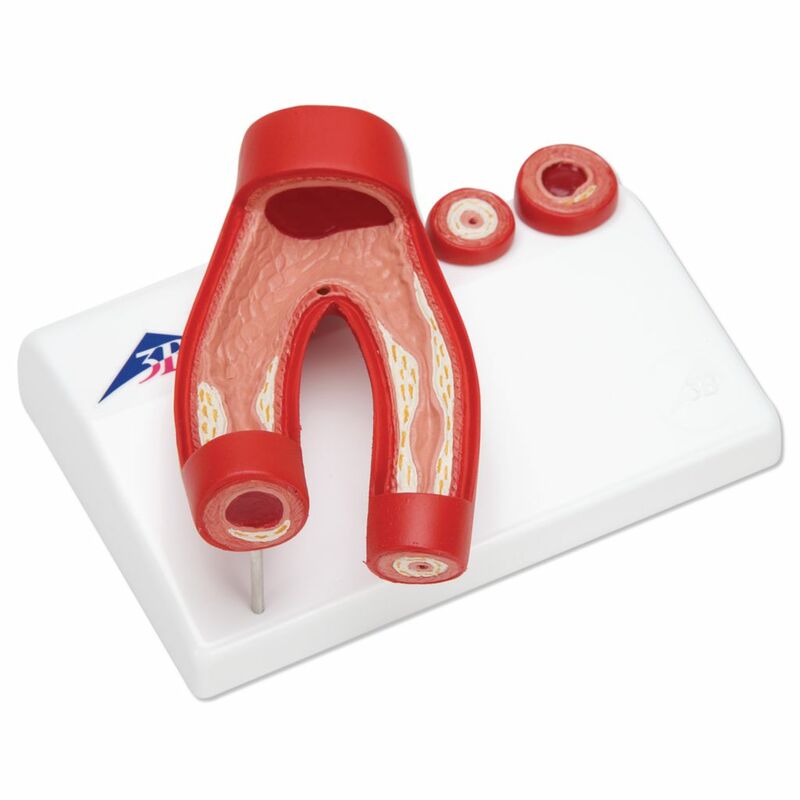 Arteriosclerosis model on stand.